Its not often you find a blending grape which performs well on its own. 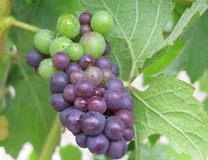 Most blending grapes have particular flavours the winemaker needs to develop his style. Int his case the Carignane produced from a small vineyard in Dry creek produces a perfectly acceptable wine and at a great price. The Carignane has a deep purple colour and in the glass has a nose of deep plums, cherries and mocha/chocolate. When you taste this wine it has solid tannins but the fruit is strong enough to take this and makes it a great food wine. This wine would be really good with a strong flavoured meat such a lamb. It is available cheaper through the wine club but represents excellent value.